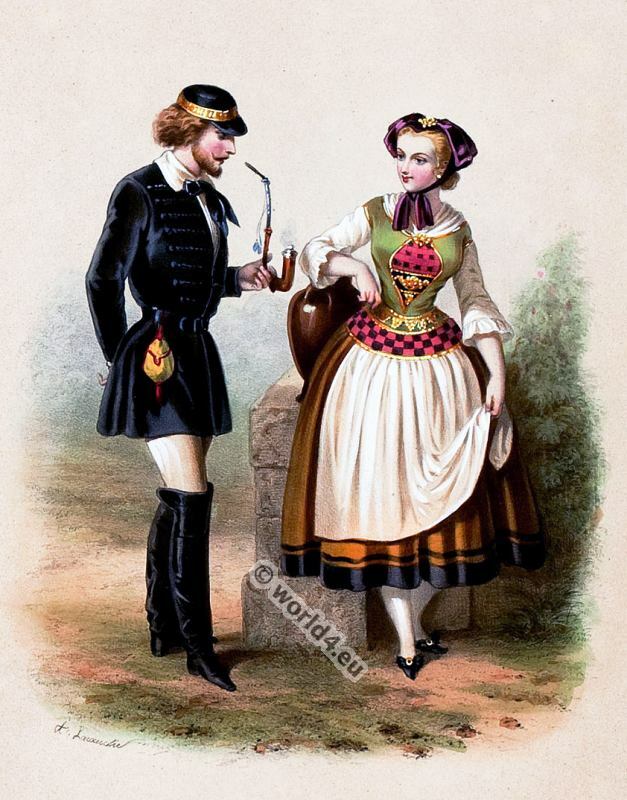 Home » German Biedermeier costumes 1850s. Source: Les nations. Album des Costumes De Tous les Pays. Par Alexandre Lacauchie. This entry was posted in 1850, 19th Century, Empire, Germany, Restoration, Romantic Era and tagged German national costumes, Romanticism fashion, Second Republic Fashion on 12/22/14 by world4.